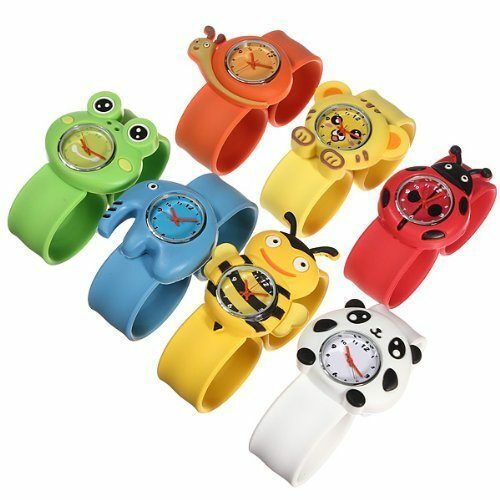 Bendable Animal Slap Watches Just $4.59 PLUS FREE Shipping! Down From $20.99! You are here: Home / Great Deals / Amazon Deals / Bendable Animal Slap Watches Just $4.59 PLUS FREE Shipping! Down From $20.99! These are too cute! What a great price, too! You can get these cute Bendable Slap Animal Watches for just $4.59 PLUS FREE shipping! Down from $20.99! Notice: Each Cartoon type has several colors. The Color will be sent at Random. Thank you for your Understand!